A Last Will and Testament is a legal document specifying who receives your assets (your beneficiaries) and who will serve as your personal representative (your executor) for administering your estate …. AFTER your death. 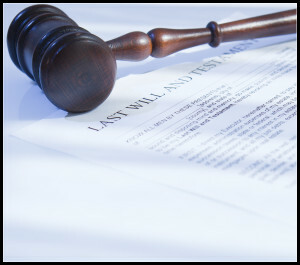 A Will usually requires a Probate-court proceeding after your death. 55% of adults do not have a Will. Without a Will, the State of Florida will provide one for you and all your assets will be distributed under the State of Florida’s intestacy laws. Your assets may not go to the people whom you intended. These laws are particularly inadequate if you wish to leave assets to a charity, or friend, or to a life partner and you do not have a Will.